The embattled R&B singer R. Kelly, has been re-arrested in Chicago over unpaid child support. This is coming barely two weeks after the singer was released on a $100,000 bail, having been indicted on ten counts of aggravated criminal sexual abuse. He had spent three nights in jail before meeting the bail terms. The singer, being investigated after numerous allegations of sexual abuse and paedophilia were levelled against him, was arraigned in court regarding $161, 633 child support he owes his ex-wife, Andrea Kelly. Following Kelly’s proclamation of his inability to pay the said sum owed to his ex-wife, the singer was taken into police custody and arrested on Wednesday, March 6. 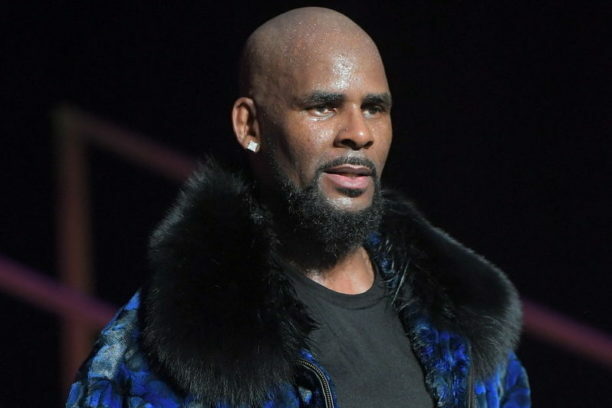 According to Sophia Ansari, spokesperson of the Cook County Sheriff’s office, R. Kelly would remain in jail until he pays the said sum while his next court hearing is fixed for March 13. Darryl Johnson, the singer’s publicist, said he was prepared to pay between $50,000 and $60,000 during the court hearing but the judge had requested the full amount. While Johnson said the sum wasn’t available because the singer has not been able to work. Since the sexual abuse trial started, R. Kelly’s recording contract has been cancelled and he has been the target of a boycott campaign.